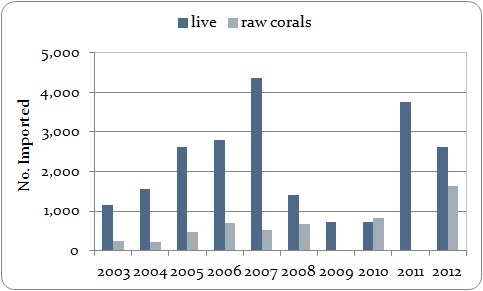 EU-reported imports of wild-sourced Seriatopora hystrix live and raw corals, 2003-2012. This coral species met the selection criteria for ‘sharp increase’ based on imports of wild-sourced raw corals, which increased over seven-fold between 2003 and 2012, with 1632 raw corals imported in 2012. 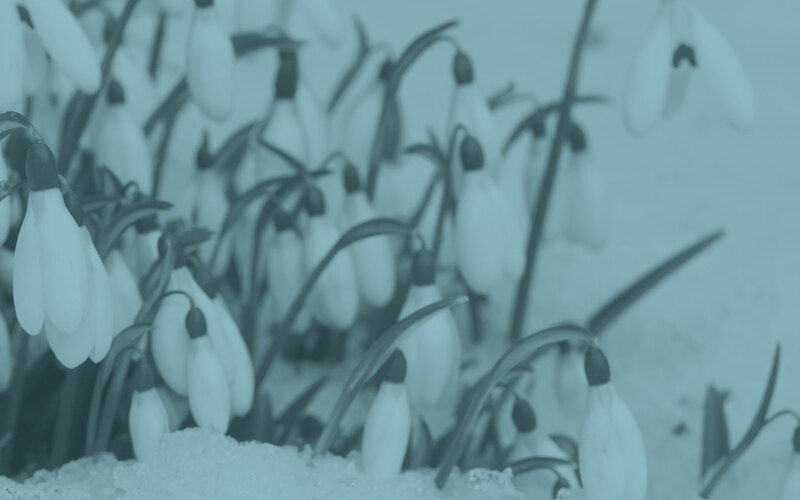 In addition, 2611 live, wild-sourced corals were imported by the EU in 2012; imports of live corals were more variable over the period 2003-2012, decreasing by 31% between 2011 and 2012. The vast majority (>99%) of the raw corals imported in 2012 originated in the Solomon Islands, while the live corals primarily originated in Australia (63%) and Fiji (28%). All imports of live and raw corals in 2012 were for commercial purposes.